See our Guadalajara apartments or other rental listings! If you are searching for Guadalajara, Mexico rentals then place your "rental wanted" ad here! It's free, simple and lets you find a rental that's just right for you! Note to visitors: When filling out the ad it is advised not to post your phone number or email address to protect you from Spam or unwanted calls. This website will not be held responsible if you do this. Instead, let the owners contact you. They will be able to reply to your message by posting a follow up comment where you can reach them and their website.. etc. You can simply request to be notified when you have responses when you finish creating your ad or you can also keep checking back. The easiest solution is to setup e-mail notification. Find Renters looking for accomodations now! Respond to the ads by simply adding a comment where the renter may contact you and it will appear below the requesters ad. The same warnings about leaving your email apply here as well. 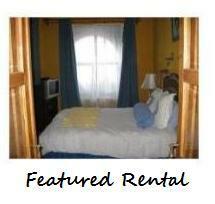 Another option is to not worry about it and set up a dedicated page for your Guadalajara rental. Read more about it here. It's super cheap and easy to set up. One of the main benefits is you get your own page with a form where you can communicate with those wishing to book right away, so you don't have to worry about missing anyone's inquiries! You can also Advertise for Free Here. Let owners now what type of rental you would like! What you would like to be close to.. etc.. 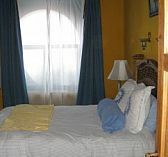 I am looking for a one bedroom apartment in the Central Zone of Guadalajara, maybe near Teatro Degallado. Long term.